The Scriptcase offers a wide range of applications that allows the developer to create a complete system. The Scriptcase also allows the integration of the applications with external libraries, boosting its power in the systems development. See below the available types of applications. Application used to display data, this application serves as a report where we can do exports to PDF, XLS, XML, and other formats. Similar to the grid application, this application is available for few databases (MSSQL Server, Oracle and Db2) when selecting the connection, in case the user have a procedure that returns information it will be displayed in this special application. Application used to insert and update data, there are four different types of orientations. This application allows the creation of tabs where we can put up other applications like grids and forms. This application is used to create controls in a system, it is not linked to a table, and it needs the creation of one or more fields to its operation. A example of using is in the creation of a login screen. It is used to create a hierarchical structure to navigate through the system’s applications. There are two types of menu available in Scriptcase, Horizontal Menu and Tree Menu, that differs only in the preview of its items. Application used to create searchs exclusively to forms. Application used to generate reports using pre set formats, where we can position the data in the report. Allows the developer to display applications inserted in widgets. This application allows the insert of PHP code / HTML and displays the result of its processing. The advantage of using this application is the possibility of using macros and the native integrations with the other applications. Application where we can maintain an event schedule that can be synchronized to the google calendar. With this tool, it is possible to create multiple applications (Form and Grid). 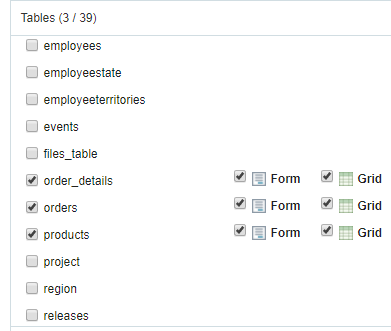 When creating grids and forms using the same table, the applications are created with an application link between them, allowing to edit the record from the Grid application. To start the process of creating the application, you need to select a connection so that the tables can be listed. 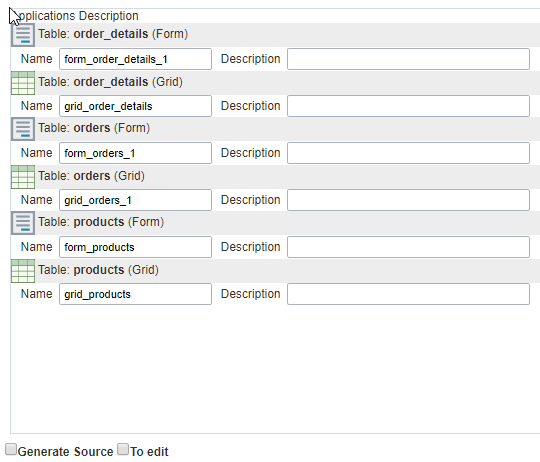 Next, you need to select the tables that are going to be used to create the applications. 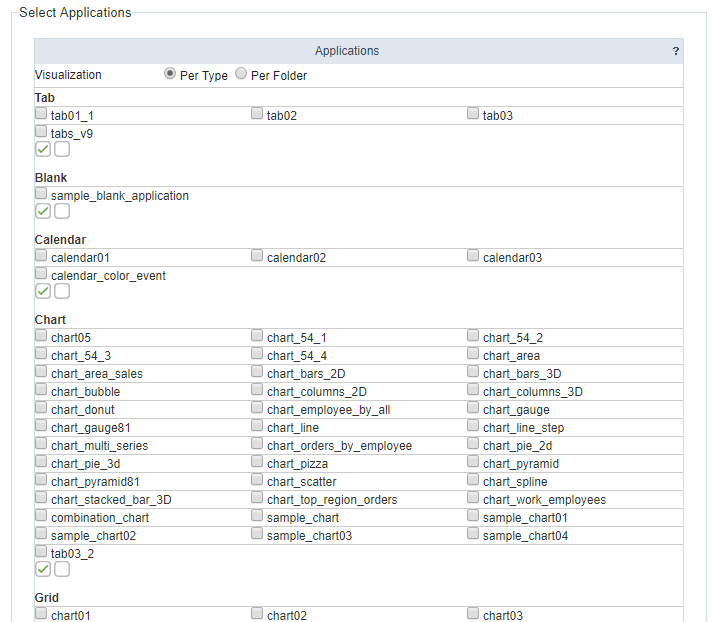 When selecting the tables, you can define which applications (Forms and Grids) are going to be created. For last, you need to define the name, description and type, in case for the Forms. Name - Name of the application that is going to be created. Type - This option is only available for Forms, defines the type of form that is going to be created (Single Record, Multiple Rows, Editable Grid and Editable Grid “View”). 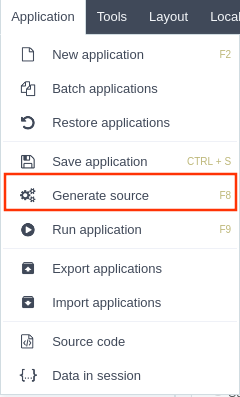 Generate Source - Selecting this option all the applications to be created will have their source code generated. To edit - Selecting this option all the applications created will be open for modifications right after creation. This feature allows to restore the project’s applications that has been modified recently. When saving the application, ScriptCase stores automatically a limited number (defined in Settings > System Settings on the option Number of automatic application copies) of copies of the application, so that they can be restored. First, we need to select the application that you want to restore. 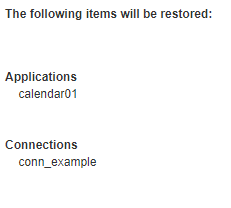 Previously, you need to select the restore point that you desire and also define a name for the restored application. This option saves the application opened in the edition mode. This option can be found inside the applications menu or in the default toolbar, also being possible to use the shortcut CTRL+S. Different from the generate source code found in Project, this option saves and only generate the source code of the opened application in edition mode. This option can be found inside the menu Applications or in the default toolbar, and it is also possible to use the shortcut F8. Saves and execute the application that is opened in the edition mode. This option can be found inside the Application menu of in the default toolbar, and it is also possible use the shortcut F9. Every application of a project or some applications can be exported. In this export, not only the application but also the needed archives to its operation of the selected applications are exported. This option can be found inside the menu Application. 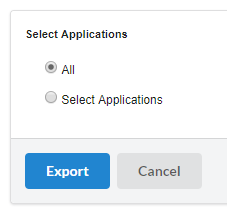 Firstly you need to select if you want to export all applications or if you want to select some applications. 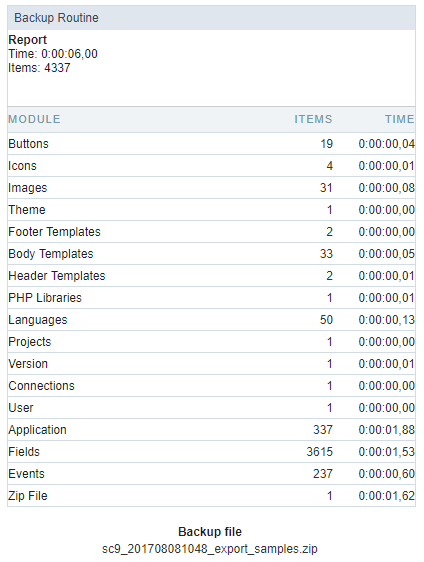 When select all applications, it will be displayed with the export log and the link to donwload the generated file. In this example, we choose to “Select Applications”, in this case the applications are listed according to the type or folder. To proceed, select the desired applications and clieck in export. After this it will be displayed a log of the exported files and a link to download the generated file. Allows the developer to import applications created in the same version of Scriptcase. This option can be found inside the menu Application. After the import application screen is displayed, select the file you want to import. Overwrite - Overwrites the project’s files by the files that are being imported. Don’t overwrite – Keeps the project’s files, ignoring the files that are being imported. Rename – Keep the project’s and import the files selected with the defined names. In the next step, show a summary that will be restored. In this option is possible to see the application’s source code after it generates. In this option, it is possible to see every session variable available in the development environment, it is the session tree that Scriptcase stores.